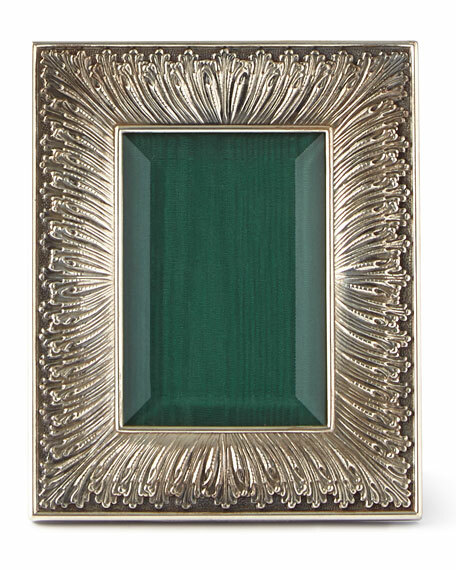 BuccellatiLinenfold Frame, 2" x 3"
3.9"W x 5.1"T; holds 2" x 3" photograph. Intricately detailed 925 sterling silver. Hand-tooled leather back with sterling silver rosette closures. For in-store inquiries, use sku #15547.